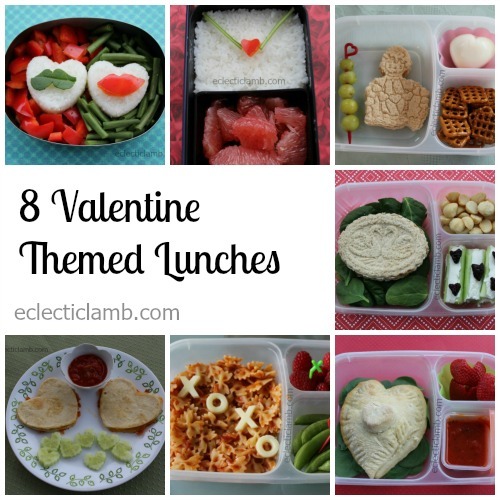 In celebration of Valentine’s Day I have 8 new Valentine themed meals. 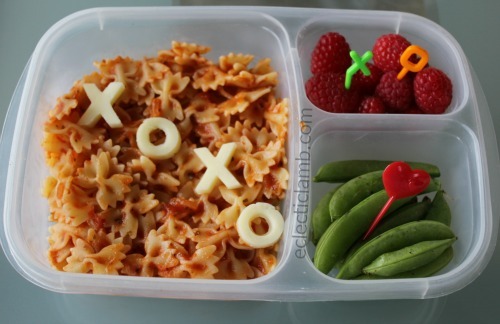 But anytime is appropriate to make a heart themed meal for a loved one. My friend and I made this easy pasta lunch during my recovery from shoulder surgery. The hardest part about it is getting the “O” shaped cheese out of the cookie cutter in one piece. 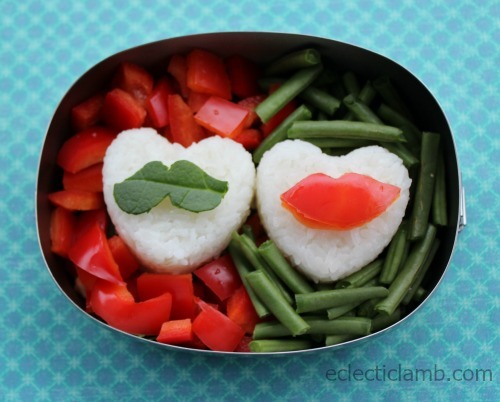 Salsa rice and black beans is very popular here so it was a natural choice to make a salsa rice heart. Note: My niece made and photographed this with me during my shoulder surgery recovery. 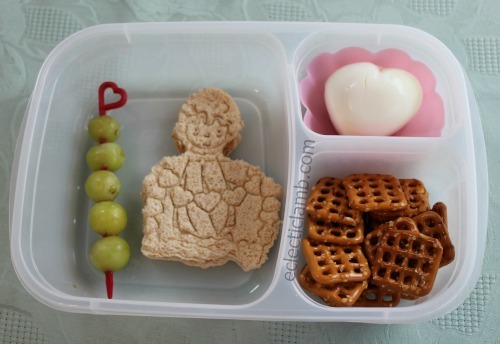 I used a Precious Moments cookie cutter to make the sandwich in this lunch. The heart shaped skewer was given to me by my Mom. She got it on a recent flight. 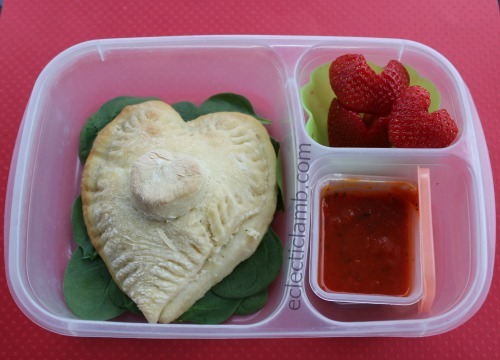 My parents and I had these cute heart shaped calzones for lunch. Note: My Dad made and photographed this with me during my shoulder surgery recovery. 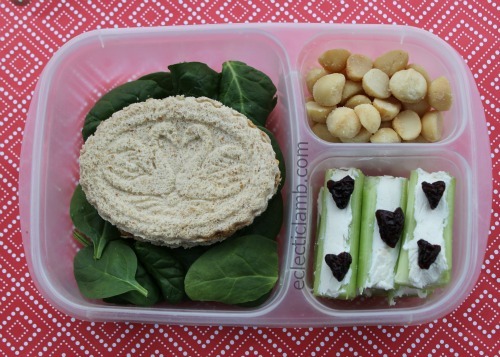 My swans cookie cutter made a sweet Valentine sandwich. 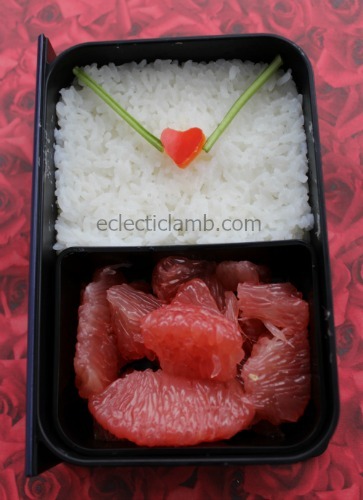 This Valentine envelope rice meal was easy to make but I think it is very cute! 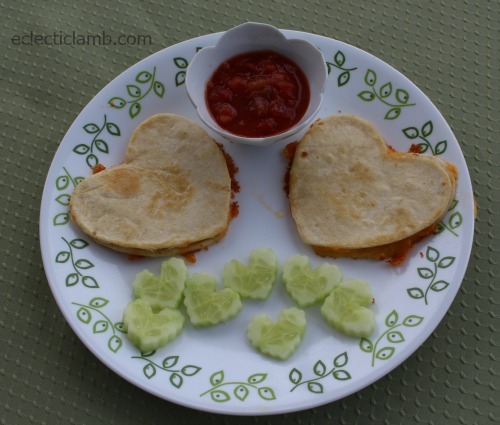 I made this simple Quesadilla lunch for my Mom and served it on a plate. Happy Valentine’s Day! I hope that you are able to enjoy a meal with someone you love. 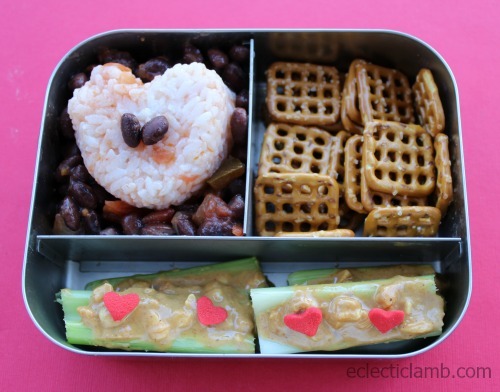 This entry was posted in Bento / Cute Food and tagged book bento box, calzone, Cookie Cutter, EasyLunchboxes, ECO Lunchbox, pasta, salsa rice, sandwich, shaped rice. Bookmark the permalink.